This time of year can bring about grey skies and wet streets; the temperature appears to perpetually hover either side of the zero degree mark. No matter how much energy and determination you might have had the night before when it comes to starting out that window first thing in the morning it can be hard to will yourself to get out there and complete your morning run. This can be frustrating for those who are trying to make a positive lifestyle change, or even merely continue with all of their hard work and maintain discipline for that physique. But just because the weather seems to be against you, doesn’t mean that’s the end of your line for today’s workout. 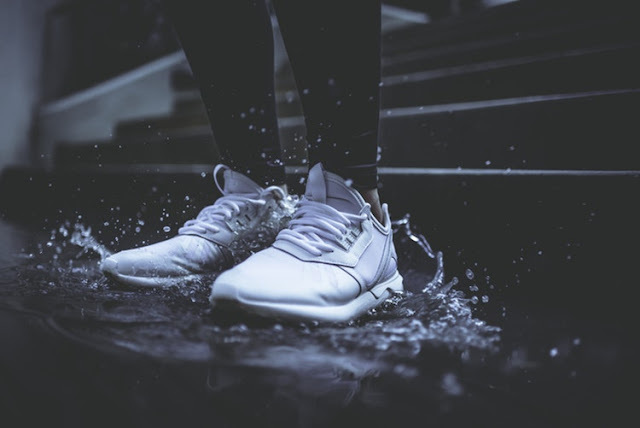 If the weather is too grim and depressing to venture out; be it a quick run around the neighborhood or you usual jog to the gym, trying some alternative workout routines for a rainy day can keep you on track to achieve your health, nutrition, and fitness goals without missing a beat. Yoga is an excellent way to work on cardio and flexibility without the need for weights or machines. If you have never done yoga before, give it a try. Not only is it spectacularly good for you, but it is also free to do at home. If you are unsure about how to approach a yoga sequence, there are some great videos that can be found online to get you started. From there, you can go through routines before finding one that suits you and then stick with that, as is recommended. The key to success in any workout is perseverance and determination. If it doesn’t stick the first time - and you may not have the apt flexibility at first to complete much of the exercises - just keep going. Over time, you will find yourself being to stretch beyond what you are used to and yoga will become a quick, convenient little supplement to your regular workout. Working out at home may be a bother, it might be you don’t yet have a dedicated workout space for times when the weather just isn’t feeling it. But a quick tidy or rearranging of the living room, along with some creativity and innovation, can provide you with the necessary space. You won’t have all the weights and benches of your gym, but going ahead with push ups, sit ups, crunches, and more will allow you at least some form of exercise, so you don’t feel guilty later on. But home brings so many distractions. There’s the TV, games consoles, the internet, how are you to concentrate? If focus is a fleeting myth in your life, consider researching 4 benefits of nootropics, to help you getting in the zone to smash your workout like you know you can. While the tried and tested method of staying in shape is typically considered to be the gym, there are other options available when the gym is out of reach, closed, or you are unable to get there. Mixing up your workout every now and again will allow you build on areas of the body that are perhaps neglected by your ordinary routine. Attending places such as Climbing Centres, where you can climb indoor walls and will aid with flexibility and upper body strength, among others. Partaking in extreme sports is typically an excellent and enjoyable way of working out when there are few other options. Activities such as skiing and snowboarding cost money (a lot of money) and so are best left for once a year to treat yourself. But, finding an alternative exercise hub in your area can help with freshening up your workout and saving you from monotony. Because sometimes, the gym is the last place you want to go. For those who are just starting their quest to a healthier life, consistency in the first weeks and months of your routine are crucial. If you ever want to get into a habit of working out whenever, and wherever you can, not letting extenuating circumstances get in the way of living a happier, healthier life. So, even if the weather isn’t being your friend and has made any hope of today’s workout impossible, know that there are solutions. Anyone serious about maintaining a healthy lifestyle and hitting their fitness goals should not take the lousy weather as an excuse for not getting on with it. While these solutions may not be as intense and vigorous as what you usually complete, they will at least serve as a convenient stop-gap as you wait for the weather to clear. I hope you enjoyed this article about effective and affordable workout alternatives when the weather outside is less than ideal. Interested in more articles about getting the most out of your workouts?